Dr. Correne Wirt opened Brighton Pediatrics in December 2002, with hopes of creating a more personalized medical environment for her patients. 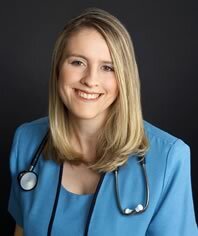 Previously she worked in a large and reputable pediatrics group caring for many children throughout Monroe county. She was trained in Pediatrics at St. Christopher’s Hospital for Children in Philadelphia Pennsylvania. She earned her medical degree from the State University of NY at Stony Brook's Health Science Center School of Medicine, where she graduated Alpha-Omega-Alpha. Dr. Wirt is Board Certified and a Fellow of the American Academy of Pediatrics. She is a member of the Medical Society of the State of New York, the Monroe County Medical Society, and the Rochester Pediatric Society. Doctor Wirt is well respected among the Pediatric community, and is affiliated with Strong Memorial Hospital and Highland Hospital. She is currently welcoming new patients to her practice. Our central location offers easy access from Henrietta, Pittsford, Mendon, Penfied and all of Monroe County and the surrounding area. Office Hours: If this is an EMERGENCY call 911 immediately. 8:30am - 4:30pm for appointments. If you have a sick child that needs to be seen, please call one of the "coverage doctors" from the list below. Please call the answering service at (585) 453-2589 to speak to the triage nurse who can contact the doctor on call if needed. Monday, Tuesday, Wednesday, and Friday 8:30am - 4:30pm for appointments.